Save AED 52 (47.71%) – Earn 5 Shukrans What is Shukran? Shukran is the Landmark Group’s award-winning loyalty programme in the Middle East, which allows you to earn Shukrans when you shop any of our brands. 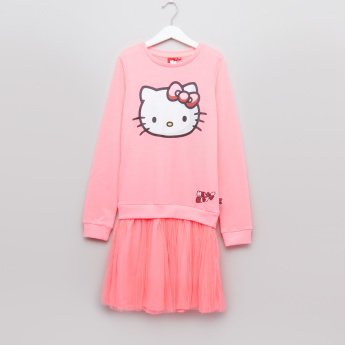 Your darling daughter will look delightful as you make her wear this attractive dress that features an adorable Hello Kitty print on the front. 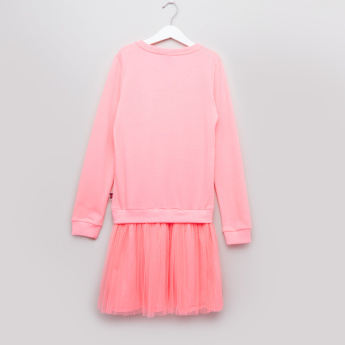 The skirt style of the dress is designed in a mesh-make that adds to the charm while the soft fabric offers unmatched comfort.